Begin by bring a large pot of water to a boil with about 1 tsp of salt and preheating your oven to 350 degrees F.
Once water is boiling add in carrots and boil for about 10 minutes or until carrots become tender but not to soft. When carrots have become tender- immediately remove from water and cool until able to handle. When ready, wrap each carrot in a slice of bacon and place on a baking sheet. When all carrots are wrapped and on the sheet, sprinkle generously with cinnamon and lightly with salt. Then, drizzle carrots with maple syrup. Place carrots in oven and cook until bacon is done. 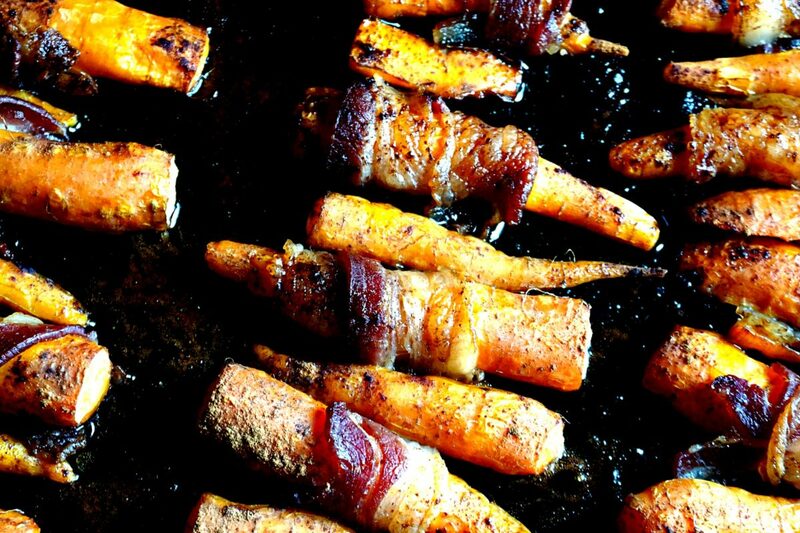 When bacon is done- remove sheet from oven and stir the carrots around to finish coating with maple-cinnamon glaze.